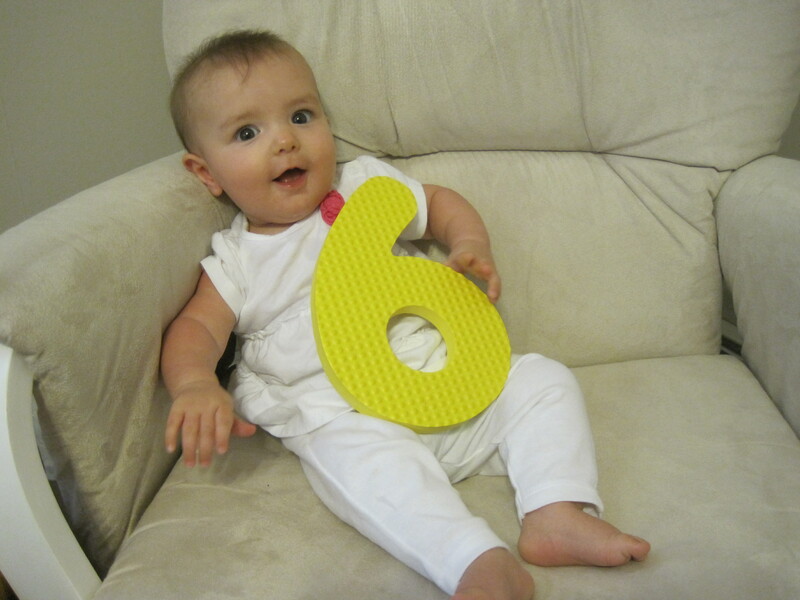 Miss S is 6 months old! She’s been sleeping through the night for as long as I can remember. I know that I am SOOOO lucky that she does this and did it so early. She’s a total champ when it comes to eating “solid” food – opening wide and spitting hardly anything out. She’s working on sitting up unassisted. She sleeps on her stomach most nights. She talks and talks. She really only laughs/giggles when she’s watching her sister run around like crazy. She’s got two teeth still trying to come in. She’s just an absolute joy – so happy most of the time – especially in the mornings!